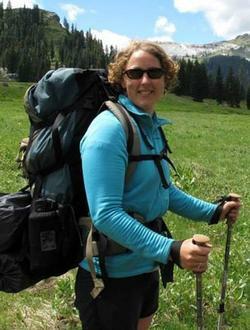 Area Fire Advisor Lenya Quinn-Davidson is an ecologist who specializes in fire and oak woodland ecology and management. Lenya works with and connects the efforts of the California Fire Science Consortium, Northern California Prescribed Fire Council, and Fire Adapted Communities Learning Network. A number of fire-related resources and programs are available to you through UC Cooperative Extension. These programs are wide-ranging, covering topics from building materials and landscaping to fire science, prescribed fire, and sudden oak death. Please see below for a list of programs and links to online tools, publications, and other useful resources, and contact us with any questions. The goal of the Fire Science Consortium is to make fire science information available to a broader audience. The Consortium offers webinars on fire science topics, research briefs on important scientific papers, and many other resources and opportunities. UCCE is the hub of the Northern CA Region of the Consortium. Visit the Consortium website at www.cafiresci.org to check out these resources, or to “ask an expert” if you have any fire science questions! The Northern California Prescribed Fire Council is a collaborative group of prescribed fire practitioners, researchers, tribes, land managers, and others who work together to increase the responsible use of prescribed fire in the region. They hold meetings twice a year, and are currently working on some exciting projects that could help private landowners and NGOs use fire. The Council is working with The Nature Conservancy to plan a prescribed fire training exchange in northern California for fall 2013. For more information, visit www.norcalrxfirecouncil.org.